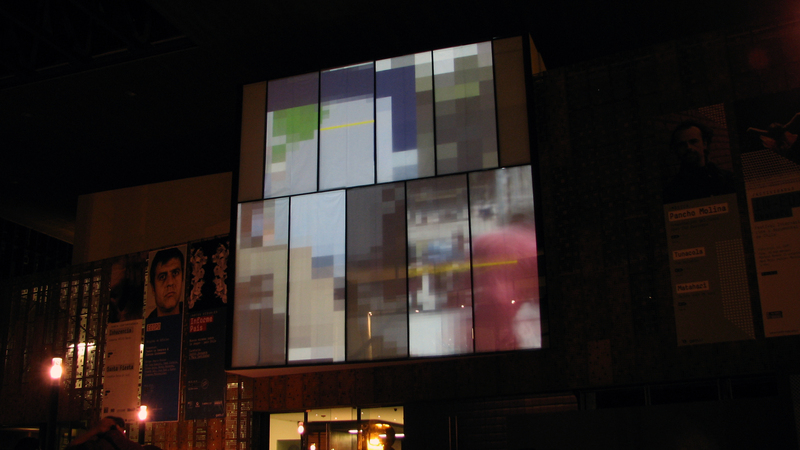 Mutek Window: Interactive installation at GAM. 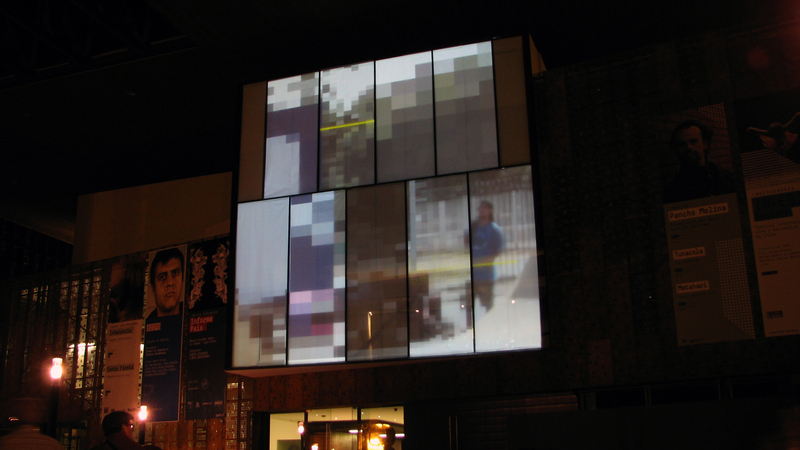 Sound & images of the grid were transformed by the visitor of this public space through the movement of their smartphones. 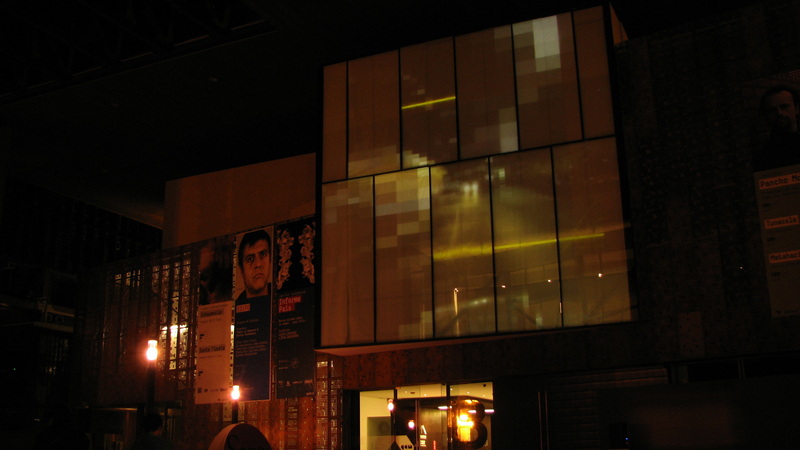 This digital production for Mutek Chile 2011 is based on open source software. The site is built on Drupal . The apps are developed with Android SDK Linux, Processing,Layar, PHP + JSON, LAMP server & Router WRT.